The show will include work from a number of local artists, as well as artists represented by the gallery. Sally and Bob Rissel are providing vintage photographs and scale model aircraft. An opening reception at Rowboat Gallery is planned for May 11 beginning at 5:30 pm. 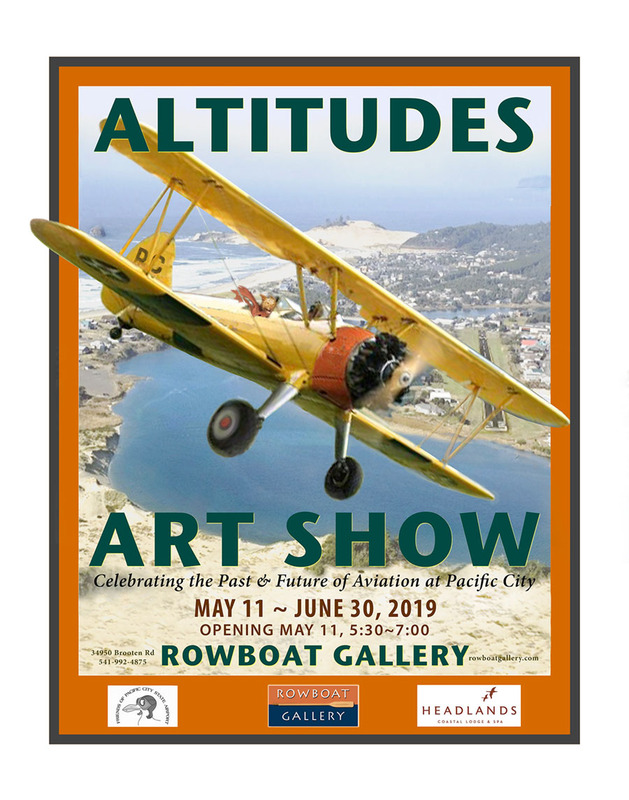 The Headlands Coastal Lodge & Spa will also be displaying a selection of images from the show at their beautiful new hotel/restaurant overlooking Cape Kiwanda. 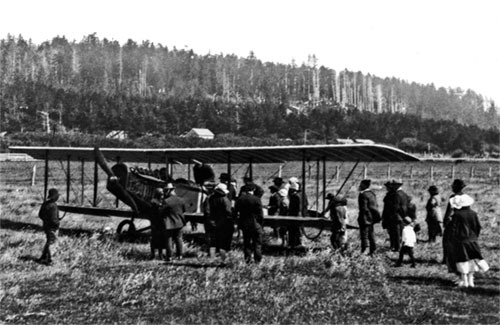 To round out Altitudes, an installment of Rowboat’s popular Rock the Boat series will feature aviation-themed storytelling, scheduled for June 8th at 6:00 pm. An advocacy group that included local residents, businesses, and northwest pilots came together in the Fall of 2017 to establish Friends of Pacific City State Airport in order to forestall the State’s intention to sell the airport property. FPCSA filed for non-profit corporation status in June 2018, and in September organized a well-attended work party to clear and clean up the entire airport property. Working extensively with the Oregon Department of Aviation, FPCSA was successful in getting official approval for its proposal to keep our airport within the State system. The March 2019 issue of Oregon Department of Aviation’s Flightlines magazine has a cover feature on the history of the airport, additional stories about FPCSA, and a full-page map of the Pacific City area highlighting lodging, dining, shopping and other visitor attractions. Copies of the magazine will be available at the opening, and an online version is available here. Vintage photo courtesy of Sally Rissel. Pacific City Sunset aerial photo by Biff Schlicting.